The Release 64 Livestream is now Friday April 12. We adjusted the date so we could focus today on addressing the ongoing graphical issues associated with our recent upgrade to the latest version of Unity. Thank you for your patience. All Avatars from around the world are welcome to join us in the livestream activities. We will be doing deep dives, answering questions, handing out prizes, and tracking towards stretch goals. 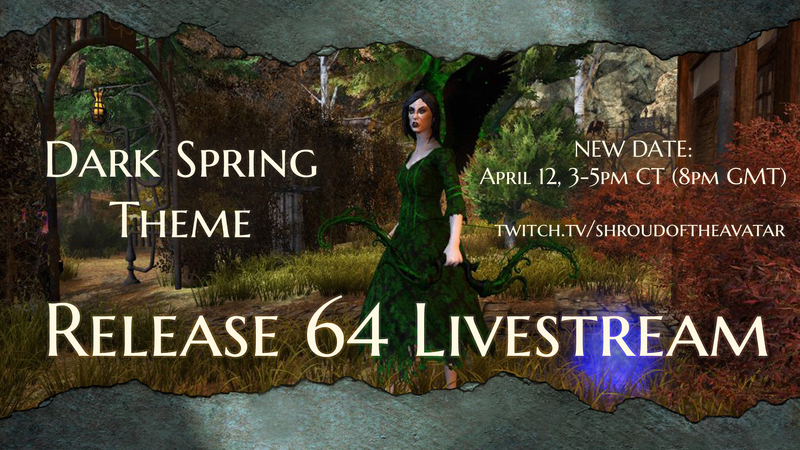 To celebrate Spring and the arrival of the Envy Angel our theme for Release 64 is Dark Spring! We are going to have our very first Easter Egg Hunt! 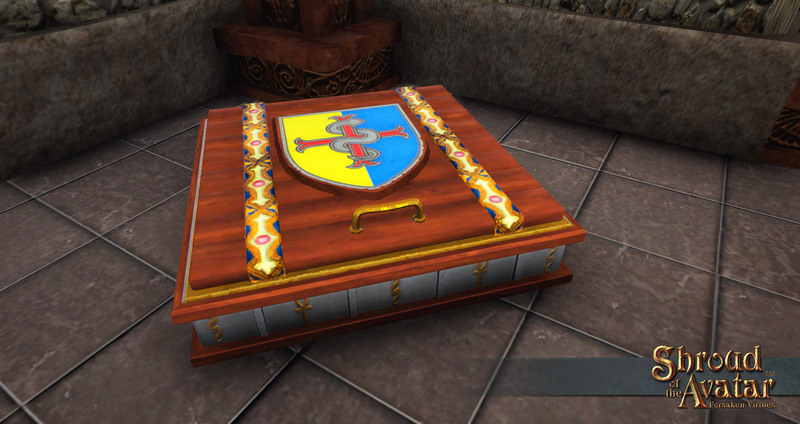 To participate in the contest search the game for Public Cache Chests with Easter Eggs hidden in them. If you find Eggs named “Easter Egg Hunt 5th Prize”, “Easter Egg 4th Prize”, etc. then you have won! 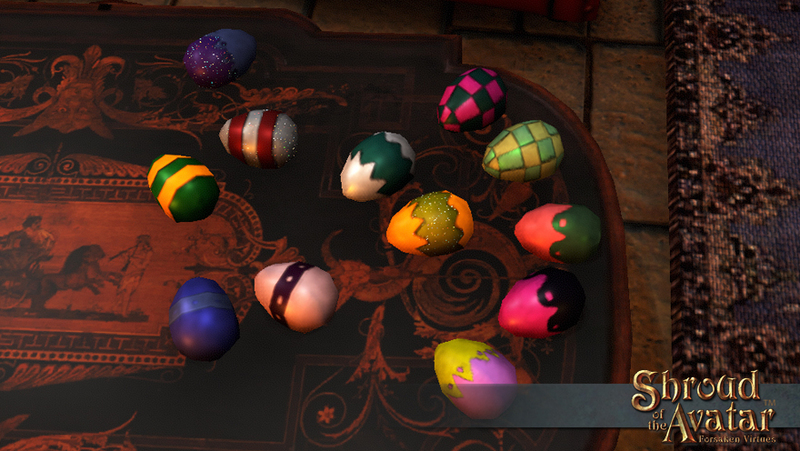 Once you have found the prize eggs then you will need to find List Rostov (Vas Corp Por in the forums) or Atos in Hometown and turn in your prize eggs to claim your prize! Note that some chests will have miscellaneous prizes including confections, crowns, and regular eggs. 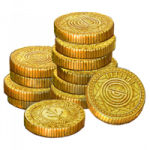 As a special bonus, we are offering funding rewards to any player that makes a minimum purchase of $5 during Release 64. In honor of Spring and the arrival of our newest seasonal boss, The Envy Angel, our theme is Dark Spring! All webstore purchases during the Release will count towards the stretch goals, not just the two hours of the livestream! Also participation in the Rewards Program counts towards our stretch goal totals! *Please keep in mind that stretch goal rewards take time to develop and will most likely not be available until Release 67 at the earliest. We will keep you updated! We will be giving prizes away on an hourly basis with many being given away multiple times. 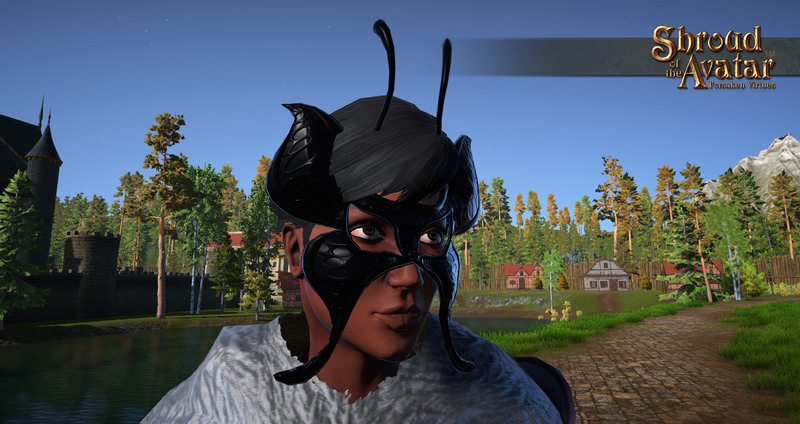 Enter for a chance to win a prize by either logging into the game and typing “Dark Spring has Sprung” into chat OR by purchasing any item from our store during the livestream! We will be answering questions throughout the livestream, so submit them in the comments section of the original post or in Twitch Chat during the event. The first quarter kicked off 2019 with a huge bang! We added the Envy Angel (another seasonal boss), more expansions to the Player Made Dungeons (including Encounters! 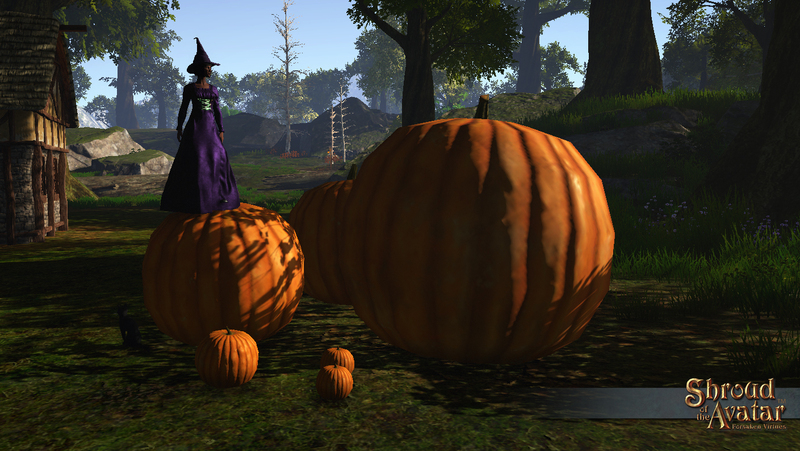 ), Back Slot Items, Pronged Weapons, Pirate Items, Massive Repricing, Fertilizer for Agriculture, Crown Store Polish, Baby Dragons and Tons of Quality of Life Improvements! The second quarter is going to be just as amazing as Q1! 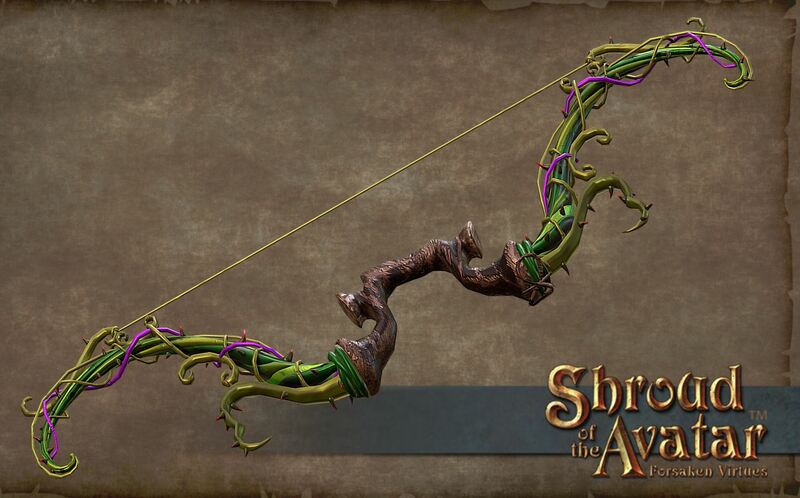 We will have Crafting Specializations (choose your effect! ), the ability to flag your Row Lots as empty (crops! 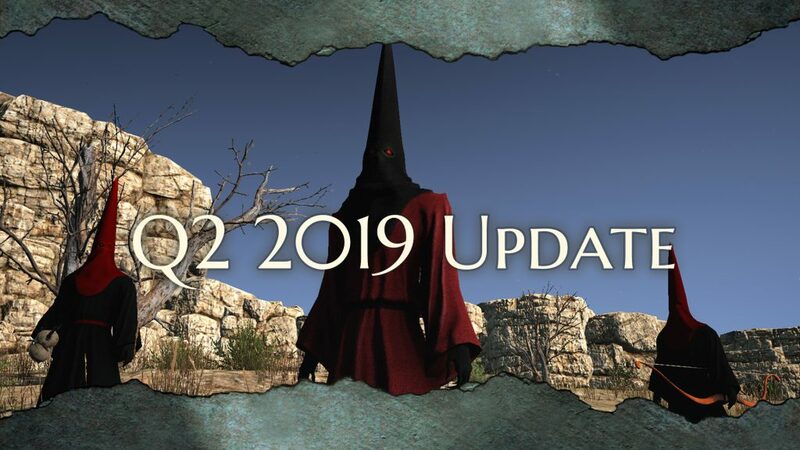 ), the return of the Atavists of Purity (seasonal boss/creature), Episode 2 areas, Raid groups (groups of groups) and more quality of life improvements. Stay with us for Episode 2 which will have a new story, new lands, a revamp of the Quest and Journal system, a Theater System, Treasure Hunting with treasure maps that show up as loot, Item Affinity, Taming system expansions, Customizable NPCs, and expanded permissions for containers and doors! Q2 Top 10 Priorities: As mentioned previously we keep a running list of our Top 10 priorities at all times that we use when building our schedule and prioritizing where to allocate our team’s resources. We often refer to it when making decisions about the project. While it has a VERY strong influence on what we work on at any given time, it does not mean that we only work on something that is on the list. It just means that if someone can assist with something that will help address an item on the list, then we will make sure they do that first before working on anything else. Sometimes team members cannot assist with anything on our top priorities, so they work on other tasks such as visual polish, combat balance, or content that helps us raise funds. Quality of Life: We will continue to make general improvements to quality of life by removing slowdowns and annoyances in gameplay. Systems and User Interface Polish: Polishing and improving existing systems will continue to be a major focus. This will take priority over new systems. 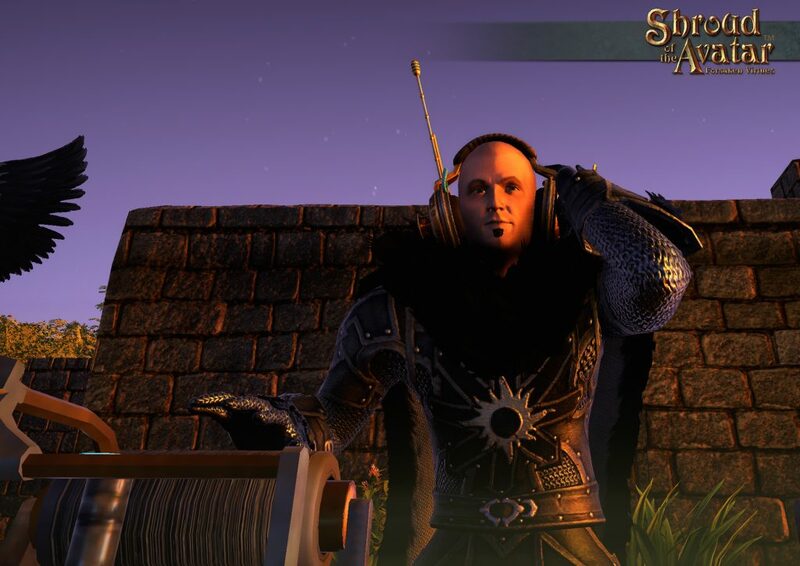 We will also continue to polish various UI elements. Performance: While the game is much more playable now we feel there is still more to be gained so in Q1 we will continue making code and content changes to improve performance. New User Experience Polish: We will polish and improve various elements of the New User Experience. Seasonal Content: Content to support Summer events will be brought back. 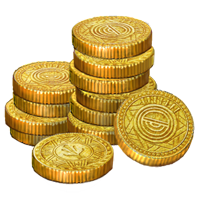 Improved Reward Cycle: We will continue our focus on systemic and game-wide upgrades to the quality and quantity of loot. 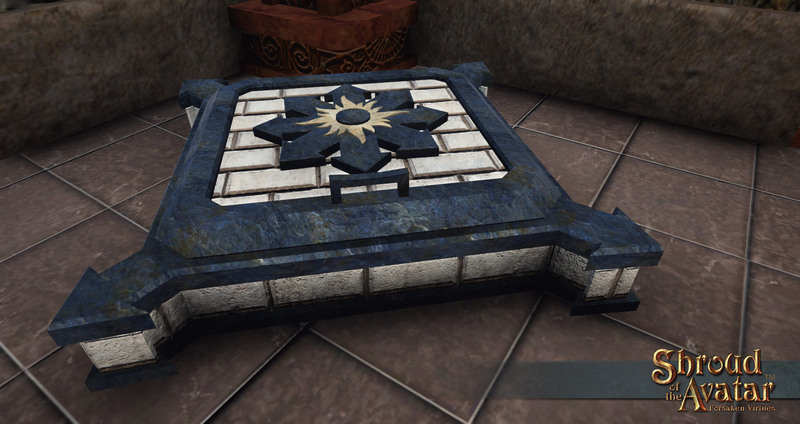 Player Made Dungeons: We will also continue to add new features and content to the Player Made Dungeons feature. Shipping Phase 3: Collector’s Boxes will ship to those who did not get theirs in the first or second rounds. 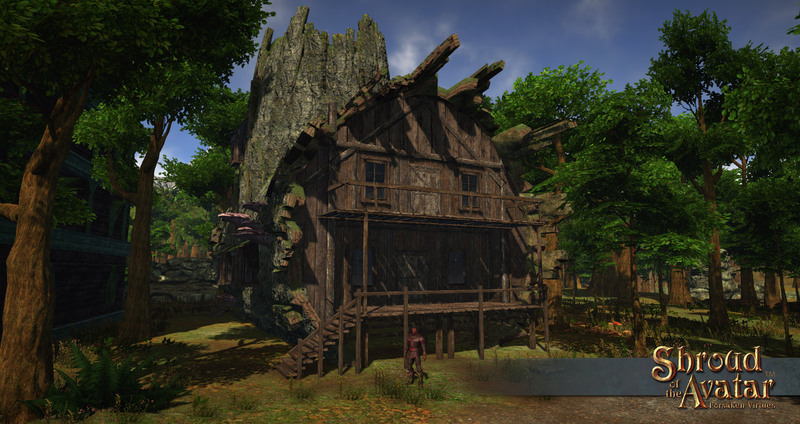 Episode 2: New areas for dwelling and adventure related to Episode 2 will go live. Combat: A pass will be done on summoned pet balance. This will include additional party bonuses based on pet type. 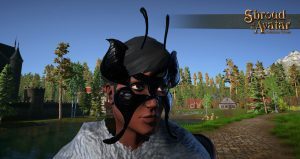 Crafting & Economy: Fertilizer will now be able to be used in Agriculture to affect the outcome. Players will also be able to purchase items from the “Vault” section of the Crown Shop which will feature rare, previously-expired items that will be available for a limited time at a premium price. Player Towns & Player Housing: Our first ever paintable homes will also go live! Additionally updates to Dynamic Player-Owned Towns (POTs) that have locked submission forms will appear in the game. 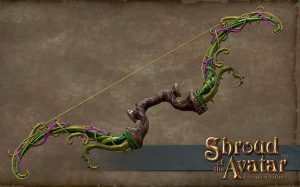 Livestream Content: We will add recent livestream stretch goal items. Story: The first area associated with Episode 2 will appear! Combat: Players will be able to join multiple groups into large Raids (groups of groups). 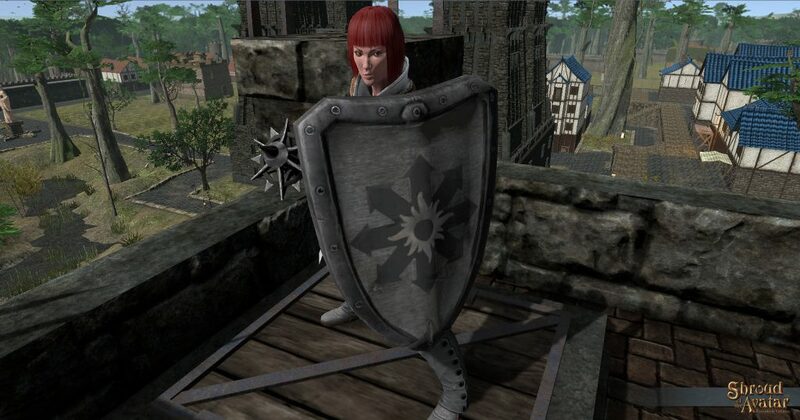 Crafting & Economy: Crafters will be able to choose a single Crafting Specialization (Smithing, Tailoring, Alchemy, Carpentry) which will allow them to choose effects during Masterworking or Enchanting (versus random selection). 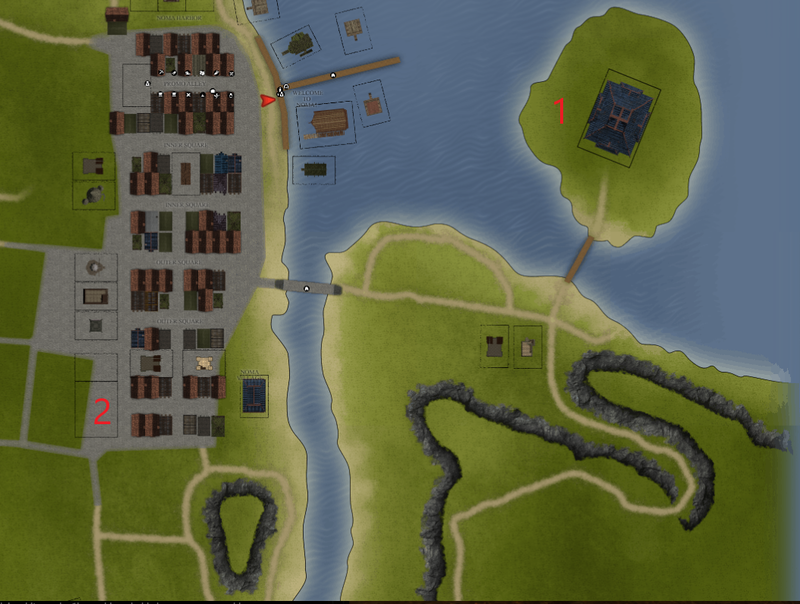 Player Towns & Player Housing: We will provide lot owners the ability to flag their Row Lots as empty which will open up the ability to do things like plant crops on Row Lots for the first time ever! Additionally updates to Dynamic Player-Owned Towns (POTs) that have locked submission forms will appear in the game. Story: The Luminous Atavist has returned from hiding! Some residents of Novia are not pleased with the sudden and voluminous influx of Outlander immigrants. 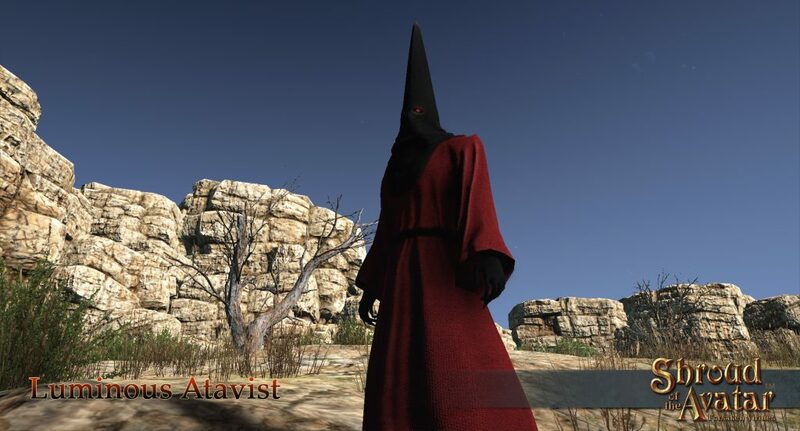 The Atavists of Purity have vowed to rid Novia of the Outlander scourge. “Their houses crowd our fair towns! Their wares compete with those of native Novian merchants!” yells their leader, the Luminous Atavist. He and his lieutenants, the Knight Purifiers, have been known to ambush unwary Outlanders on the road. They are even swelling their ranks with common folks who call themselves Unifiers. 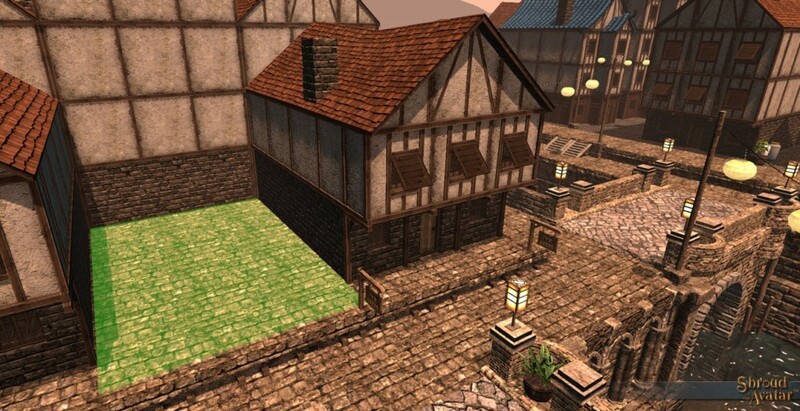 Player Towns & Player Housing: Players will have the ability to add custom conversations to their NPCs (shopkeepers, POT NPCs, servants, etc.). Additionally updates to Dynamic Player-Owned Towns (POTs) that have locked submission forms will appear in the game. 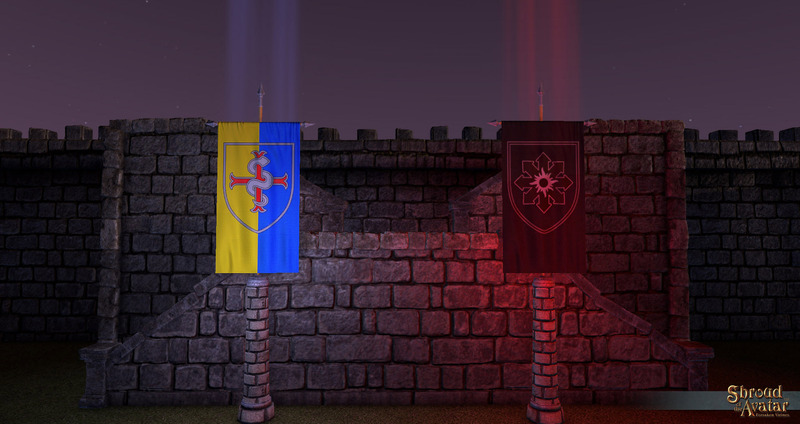 Livestream and Seasonal Content: We will add recent livestream stretch goal items as well as the return of Lord British’s birthday recurring items. 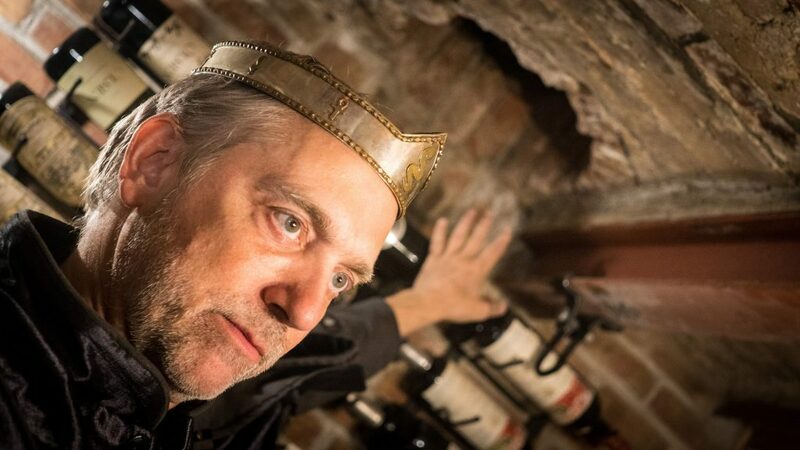 It is the Regent Darkstarr’s (aka Starr Long) birthday on March 12th! In honor of his birthday the recurring rare Darkstarr items are in the Crown shop for a limited time! They will only be available this year until May 3rd and then you will have to wait for another full year before they become available again! Win a Pirate Galleon City Water Home & earn free SotA in-game items daily! 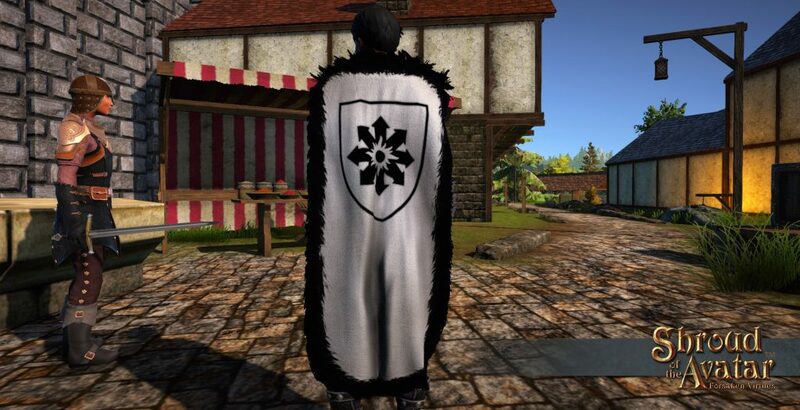 Think: in-game SotA goodies, Sweepstakes entries, Relics by Rild giveaways, and tons more. With Meretz, we launch several sweepstakes every month. 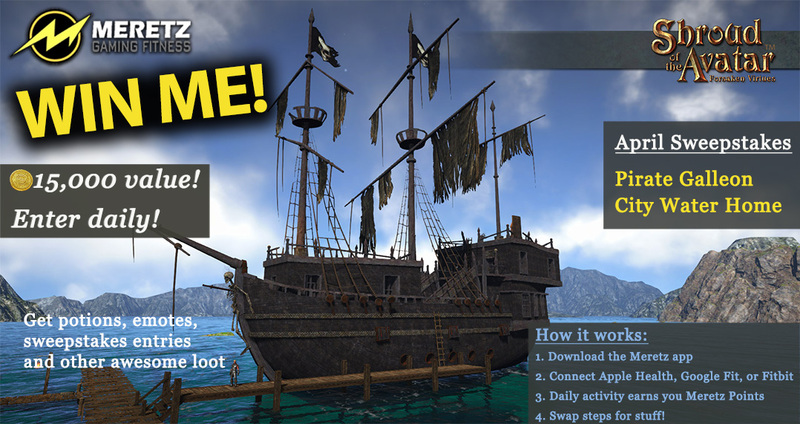 This month, we’re giving away the Pirate Galleon City Water Home! You can also enter to win a Relics By Rild $50 Gift Card and other cool prizes. AND, use your MPs every day for in-game items like potions and emotes. Calling all Avatars! Come and join us for the 1st Annual Novia Market Fishing Contest! 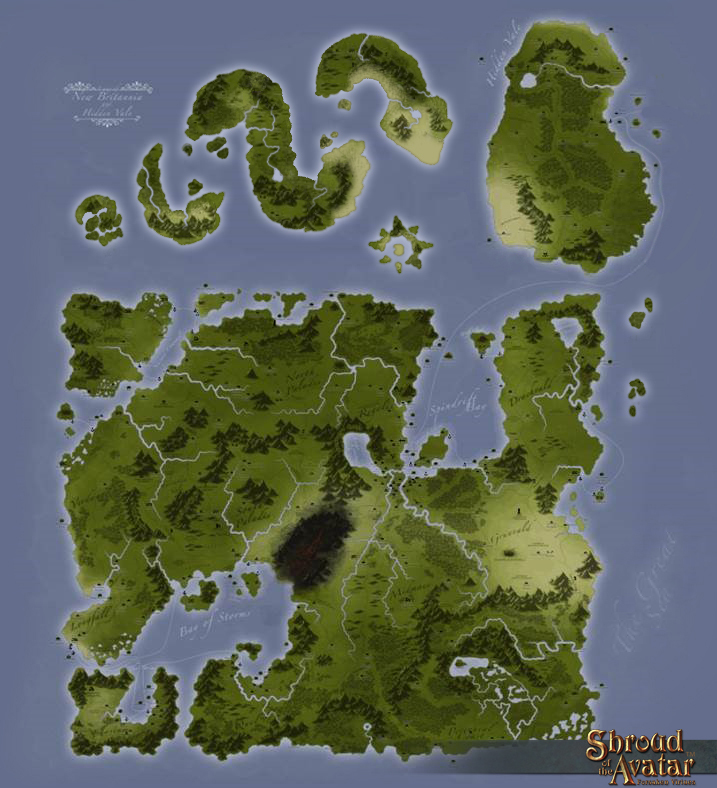 This will be a 24 hour competition, April 13th from 1200am (0000) NBT to 11:59pm (2400) NBT.This contest will be for freshwater and fetid fish, fished up from Novia Market and one of the two fishing dungeons in Novia Market (Alpha Fishstick’s and Rook Strife’s lots, please see the map below). Screenshot needed for these two showing in-game chat of item being fished up with the date/time visible. Send to robynhood.sota@gmail.com. I would suggest you don’t try to cheat on this one because I will be able to tell and you will be banned from future competitions. All turn ins will be done at the Pirate Galleon on the town lot under Robyn Hood’s name (take a right from the docks and follow the water until you see the ship and cherry trees). There will be several chests to drop submissions and it will be checked throughout the day. Tiebreakers will be based on the time the fish was caught. For the longest combined length/caught all the fish entries, all fish must be put into a backpack (there will be backpacks in the public cache on the docks on the day of the event) labeled with your name and you must send me an in-game mail (I will even include paper in the backpack!) to let me know you are submitting them for that particular prize. All loose submissions (not in a backpack) will be treated as entries for largest fish and will also count as submissions for cotos. Depending on the number of participants, it could take some times to process all submissions. I will post here announcing the winners once they have been determined (this may take a day). Winning submissions will be put on display in Novia Market (location tbd) and will not be returned as I’d like to keep a running record and display of winning entries. All other entries will be returned to you. 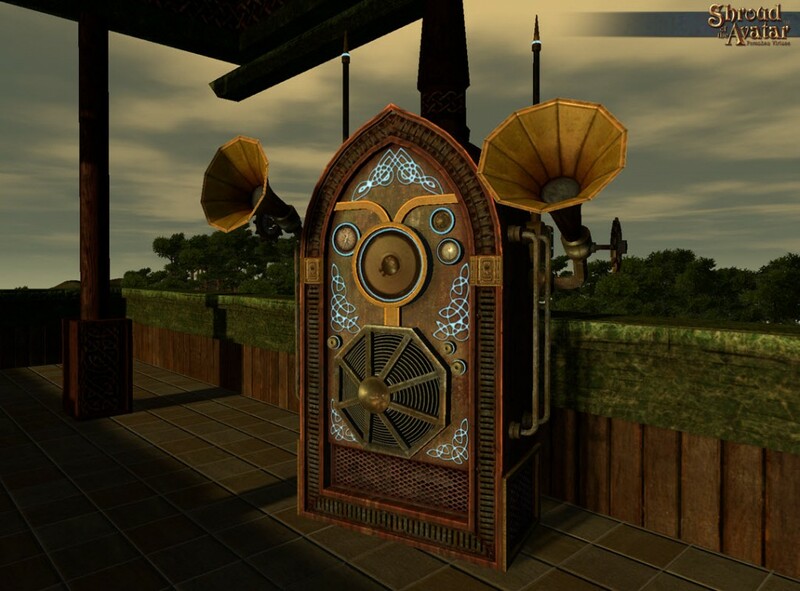 Avatars Radio is a community run and community funded radio station founded by community member Amber Okhan (formerly Amber Raine). They air plays, music, sermons, speeches, and they organize the monthly release dance parties. You can listen to Avatars Radio on their website or through one of the Aether Amplifiers inside Shroud of the Avatar. Consider helping this community endeavor by supporting their Patreon!